Without its own currency, Catalonia can’t be independent. And that’s where the problem starts. I’ve been a bit busy recently  and have not been following current events with my normal degree of attention, but the crisis in Catalonia has changed all that. An excitable commentator on the BBC yesterday – the day of the regional assembly’s vote for independence – called the region’s unilateral declaration ‘the greatest crisis to hit Europe since 1945’ and predicted possible civil war. I don’t think it’s quite that bad, but it won’t end well. In part, it’s down to currencies. Seen unemotionally from my desk here in Britain, Catalonia certainly looks like it has defensible claim to be a nation in its own right. It’s a decent sized region of 7.5 million people with an industrialised economy to match. In that regard it’s comparable to Denmark, Norway or Sweden. And its history has been complex, with a sometimes detached – but always at least semi-detached – relationship with the rest of Spain. It also has its own language (Catalan), which sits in uneasy equipoise with Spanish. In a way it’s a little bit like Scotland: also a region with credible claim to be different and separate from the larger state of which it is a part. But independence for Scotland was rejected at the ballot box pretty convincingly in 2014 (55% to 45%) and recent polling suggests that opinion has not shifted dramatically. I think it’s instructive to remember the Scottish debate in the light of Catalonia’s move. During the Scottish referendum campaign there were arguments about many things. Would Scotland be able to cope economically as an independent state? How would the debt of the UK be divided between Scotland and the rest of the country? How would the transition be organised? To all these questions, the Nationalist ‘Yes’ campaign (that is, those in favour of Scottish independence) had good answers. But there was one question that stumped them time and time again. What currency would they use? Scotland would be out of the UK, which would have meant that they had left the EU. Thus they could not, at least at first, plan to use the Euro. There was even some question about whether they would even be allowed back into the EU inside a reasonable length of time. Ironically, given what has happened in Catalonia, the chief impediment to this would have been Spain. The logical answer was to create a new currency – the Scottish Pound (SCP) – and create a new, Scottish central bank in Edinburgh to administer it. I say logical because, if a country wants to be truly independent, having its own currency allows it the flexibility of its own monetary policy. Obviously, there would have been downsides: the cost for one. Another would have been the potential future volatility of the new currency against the GBP, since 63% of Scottish trade is inside the UK. But some kind of shadowing or peg mechanism between SCP and GBP (akin to that used in the late, unlamented ERM) might have worked well. Certainly, it would have been in the rUK’s interest to make it function. Instead, the Nationalists’ answer was that they would keep on using the GBP. Well, fair play, said the Bank of England, but warned that: “a currency union is incompatible with sovereignty.” Effectively, Scotland would not be independent. British politicians reacted slightly more negatively than the BoE. Not a chance in hell, was the general message. The bad tempered bickering went on until voting day but the issue was always one on which the Nationalists were vulnerable. Possibly as a result, they lost. Which brings us back to Catalonia. Clearly, there are massive issues with the region’s declaration of independence. Is it legal? Under whose laws can the move even be judged? What proportion of the population really supports the move? Ultimately, which city’s orders will the police or civil servants obey: Madrid’s or Barcelona’s? But beyond this, even if Madrid does not impose some kind of direct rule, it seems difficult to see how an independent Catalonia could function economically. Just like Scotland, the issue will be currency. What unit would an independent Catalonia use? Using the Euro is surely not feasible; given that the EU and the Eurozone has no interest in encouraging breakaways within its own borders, Catalonia would be ejected from the EU at once. But, unlike Scotland, there is no state currency like the GBP to try to use; the Peseta is long gone. So Catalonia will be forced to issue its own currency. Indeed, there is speculation that the regional government is in talks with the creator of the Cryptocurrency Ethereum to do just such a thing. Well, as Spongebob might say, good luck with that. Catalonia’s current long term debt rating is BB according to S&P; Ba2 according to Moody’s. That’s sub investment grade; junk, seen less kindly. And that’s when they’re issuing in Euros – a currency that most folk think is legitimate and which is currently native to the region. Issuing in the future when the Euro is a foreign currency is going to be a damned sight tougher. And who knows what kind of yields they’ll need to offer to entice investors to buy bonds denominated in ‘Catacoins’? And if Catalonia can’t borrow reasonably cheaply and is outside the EU, I’ve no great optimism about the region’s economy in the months and years ahead. What does it mean? Well, I am not a great one for predictions, especially about the future. But my guess is that either Madrid will see sense and gently head this crisis off by offering some new, extra kind of ‘federal style’ flexibility or will impose itself by brute force. If the latter, steel yourself for depressing headlines for years to come. For if there is one thing that we all have learned over the last few decades, frustrated nationalism leads to anger and that anger inevitably leads to terrorism. It soon might not be just the Basque terror group ETA that Spain has to worry about. Prepare to become familiar with the letters TLL. It’s an unpleasant thought, but all too plausible. I’ll end here and leave you to go away, watch the news and keep your fingers firmly crossed for a peaceful outcome – both now and in the future. Buy the new, dirt cheap edition of Kevin Rodgers’ book ‘Why Aren’t They Shouting?’ at Amazon. I’ve been participating in the unsuccessful defense of an ex-HSBC FX trader called Mark Johnson in court in the USA. It’s a topic I have strong views about but, in case you are wondering, cannot touch in this blog since the legal processes are still ongoing. Interestingly, I just sold a lesser interest in an Enterprise Zone I invested into in Scotland which was eventually taken up by the University of Strathclyde (I would have thought as close to quasi-Sweaty as you can get). The best bid for that 35 year lease was at 5.5%, about 3.5% above UK gilt yields. And that was before this Catalan news and with Nicola Sturgeon eating a portion of humble haggis after her party gave up so many seats in the last general election. Independence does not make sense for small outfits which will just get blown around in the general global mêlée unless you are real visionary and can truly see where blockchain could eventually take us: where nation states, religious institutions, national currencies, large corporations etc. are all overtaken by a decentralised Web 3.0 movement. Open source networks are just that – open and meritocratic. Appetising for the masses. 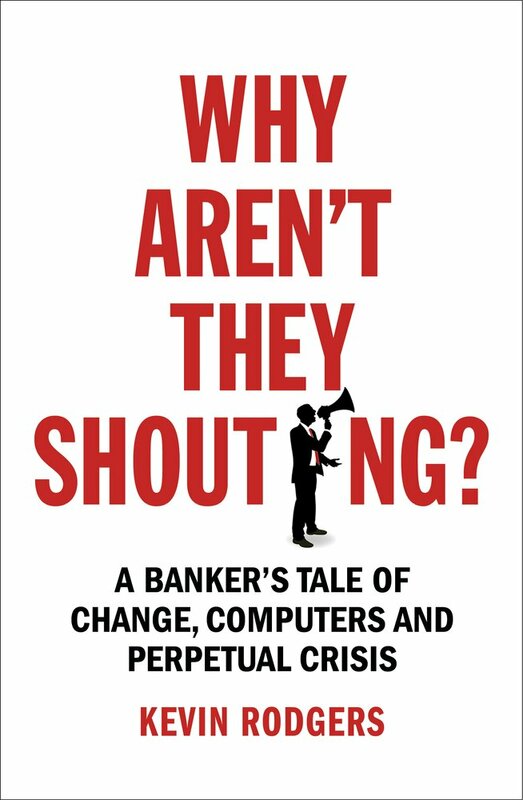 A blog about finance, banking, computers, technology, economics and global instability, written by a veteran of the banking industry and author of the book "Why Aren't They Shouting?"